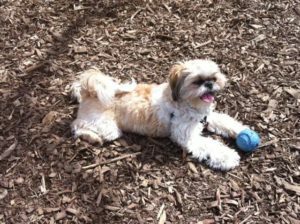 Calliope is a Shih Tsu owned by Toronto Dr. Dale Ryan and missing since Sept. 8 when he was dogknapped from a doggie day-care centre. Ryan is very upset, spends much of his off-time from his practice searching for his canine companion. The dog is named for a minor character on the 1980s Days of Our Lives daytime soap opera noted for wearing outrageous hats. Next: Countdown to Dublin’s New Year’s Eve!